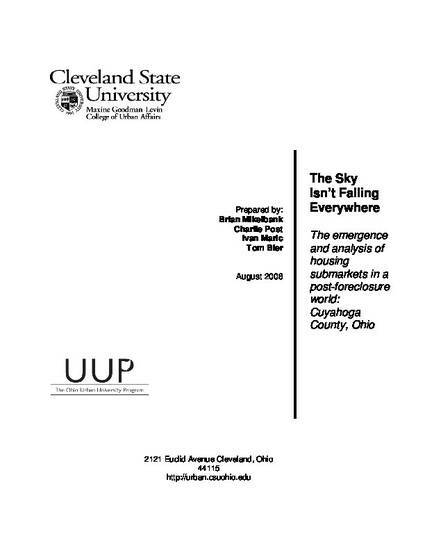 This report looks at the consequences of treating Cuyahoga County’s housing market as “one market” versus a shrinking but relatively price stable market and a submarket plagued by abandonment and foreclosure. Brian Mikelbank was interviewed about the study on WCPN. org on Tuesday, November 11, 2008.